In the scenic town of Arashiyama, on the outskirts of Kyoto, is one of Kyotos most famous attractions: Arashiyama Bamboo Grove. 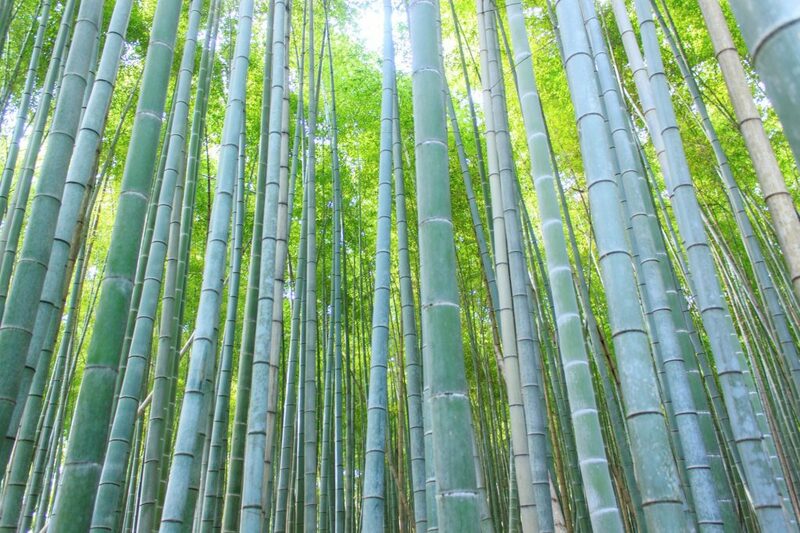 The bamboo Forest, which is also known under the name Sagano Bamboo Forest, is probably among the top 3 attractions in Kyoto, in close competition with Fushimi Inari shrine and Kinkaku-Ji. You have probably already seen photos of this scenic forest on covers of travel books and magazines. 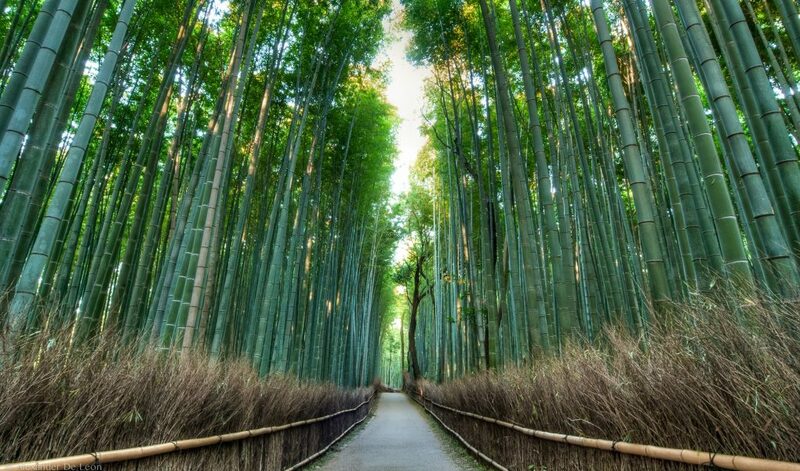 Arashiyama Bamboo Forest is a magical place to visit. The forest covers a fairly large area, and is basically located in a densely populated urban area. Due to the high density of the bamboo plants one feels far away from urban life when wandering the curved paths between the huge plants. The wind blowing through the stems and rustling the leaves 50m (165ft) above your head creates a unique sound. In fact, the sound generated by the wind and bamboo in this grove is officially listed as one of the 100 soundscapes of Japan! Arashiyama Bamboo Forest. Credit: Antonio Campoy. Licensed under CC. Original modified. Standing in the middle of the forest is a really unique feeling. When walking along the paths one can easily get a feeling of being really small. The bamboo is towering up everywhere around you, and the the plants resemblance to grass can make it feel like you are an ant in a field of grass. Because this is a very popular tourist spot, it is recommended to visit during the early morning. This allows you to get the most serene experience possible. There are plenty of things to experience in Arashiyama. You can spend the rest of the morning exploring the towns temples, local shops, the historic Togetsukyo Bridge and the monkey park. A list of soundscapes? 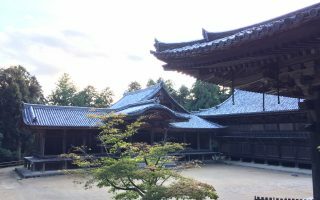 It may sound strange, as we are used to lists of objects or locations, however the list of Japanese soundscapes is really interesting. 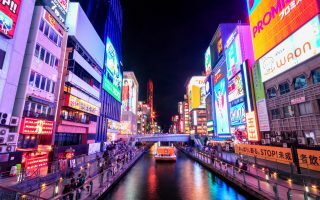 In 1996 the Japanese Ministry of Environment created a list of the best 100 soundscapes, as a way to bring attention to the increasing noise pollution. The list features sounds which have special meaning to locals in all areas of Japan. The sounds range from the sound of drifting ice to the ringing of specific bells, birds cries, sounds of feet against sand and the soundscapes of specific festivals. 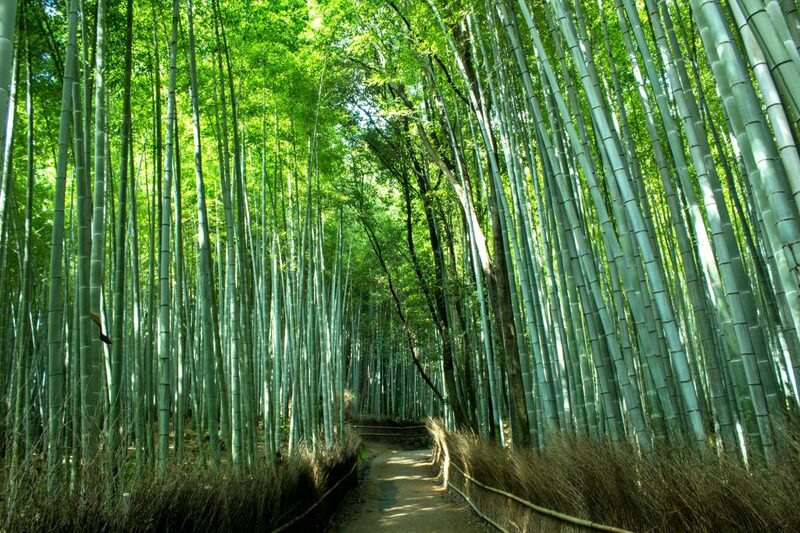 On this list is also the sound of the wind blowing through the bamboo forest in Arashiyama. Located right next to Tenryu-ji temple, the origin of the forest appears to be debated. It could be natural, but it could also have been planted hundreds of years ago to protect the temple, which was a common practice. Regardless the origin, today it is a well maintained forest, and more importantly a beautiful place for visitors to admire the massive, evergreen bamboo plants. Bamboo stems at Arashiyama Bamboo Forest. Credit: Robert James Hughes. Licensed under CC. 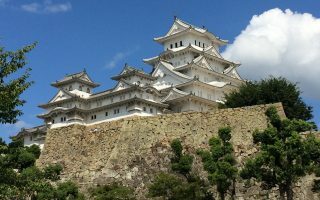 Pro tip: Traveling around Kansai? Maybe the Kansai Thru Pass is something for you. The pass is valid for subways and private railways – but not for JR trains. By JR train: From Kyoto Station take the JR San-In Line to Saga-Arashiyama Station. From the station it’s a 15 minute walk (1km) to the bamboo forest. This train is covered by the Japan Rail Pass. By local train: It’s possible to take the Randen Line, a smaller, private train line from Shijō-Ōmiya Station in Kyoto to Arashiyama Station. The ride is 24 minutes and costs ¥220. This train line is covered by the Kansai Thru Pass. Cover photo credit: Alexander De Leon Battista. Licensed under CC. Original modified.